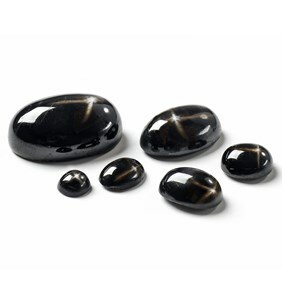 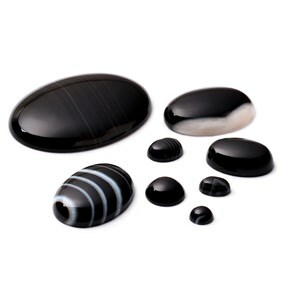 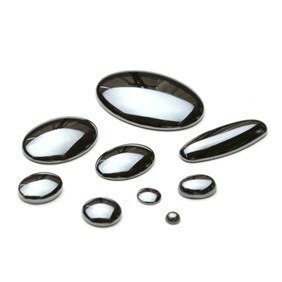 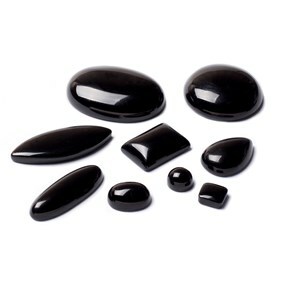 These black banded agate cabochons have really striking white banding, perfect for a standout piece of jewellery. 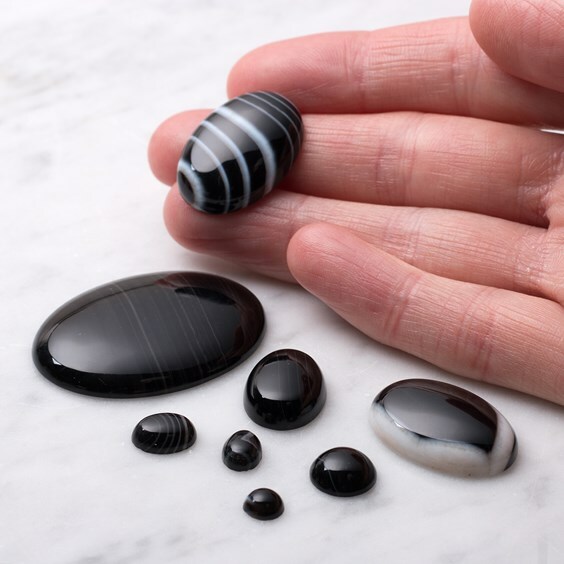 Agate is ideal for just about any type of jewellery design imaginable, as a pendant, necklace or as an everyday ring as it is harder than most other material, and so it is very durable and resistant to wear. 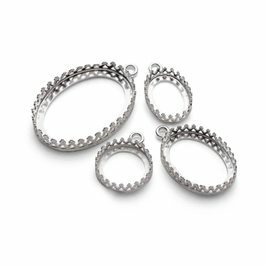 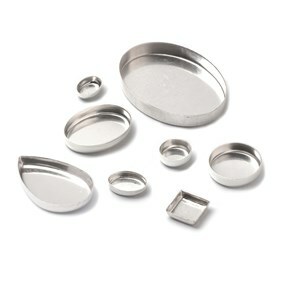 Please note that the 6mm, 10mm, 18x13mm and the 40x30mm sizes have a much softer banding than some of the other sizes which have stronger more predominate bandings of white.